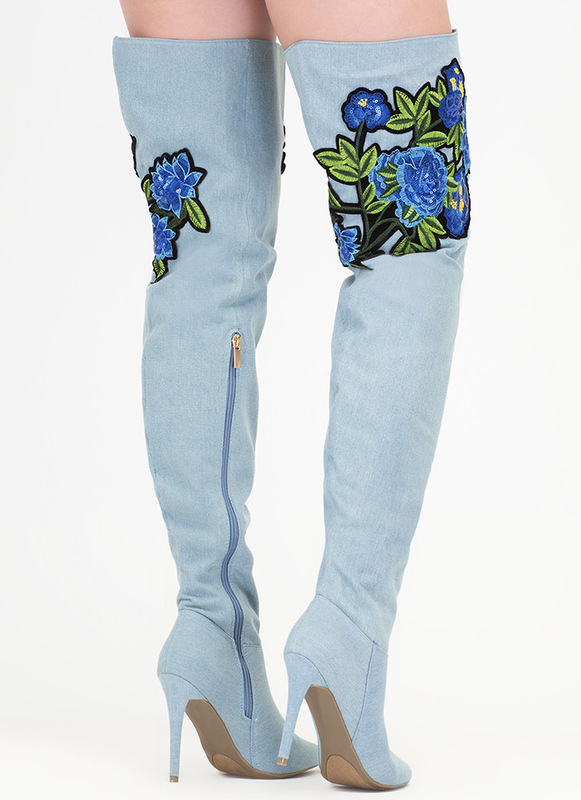 We're always down to create a look with pretty petals! 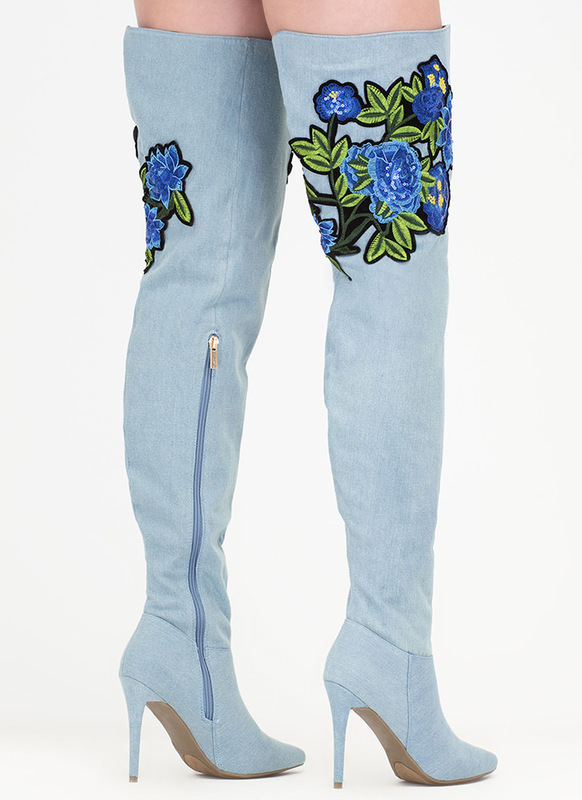 Non-stretchy denim boots feature a pointy toe box and an over-the-knee shaft with embroidered floral and foliage appliqués highlighted by sparkling sequin trim. Partial side zip closure leads to a stiletto heel and a ridged sole. Pattern placement may vary.